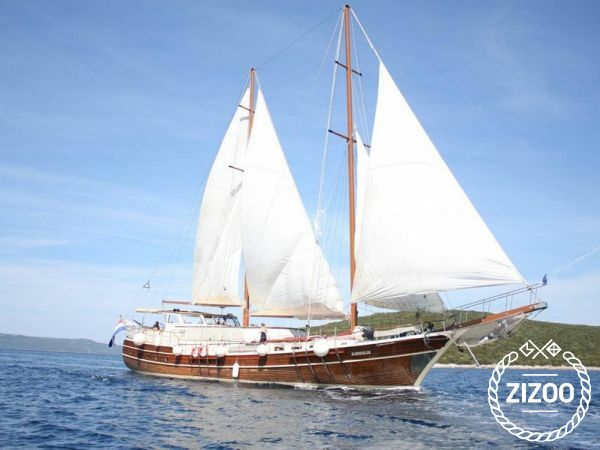 Rent a Custom Gulet in Split, Croatia - Book Now! This gulet, built in 1999 is conveniently located in Split ACI Marina (Split), Split - a great starting point for exploring Croatia by boat. With 7 spacious and comfortable cabins, this gulet is an excellent choice for larger groups and parties celebrating special occasions. Choose this gulet if you’re after a unique, fun and hassle-free boat holiday experience together with up to 14 people. Was für ein traumhaftes Schiff. Es waren zwei Wochen reine Erholung an Bord und wir würden am liebsten gleich die nächste Reise nach Kroatien buchen.